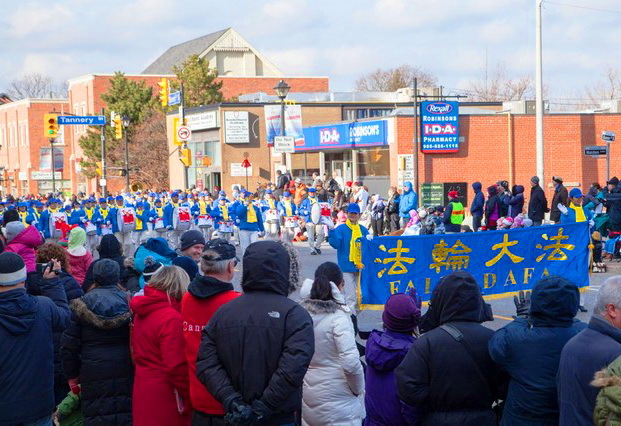 The 35th annual Santa Claus Parade in Mississauga, Canada, was held in the village of Streetsville on November 25th. Thousands of people gathered to watch it. The Divine Land Marching Band, consisting of Falun Gong practitioners from Toronto, performed in the parade. The organisers of the parade invited them to come again next year.